Research suggests chemical similarities between the oceans on Earth and Europa. “Oceans like ours” in a chemical sense, that is. There are no fish or whales or coral on Europa. But Europa’s massive ocean is a salty one—and according to planetary geologist Kevin P. Hand and geochemist Richard W. Carlson, the specific salt that fills its sea, sodium chloride (or table salt), is the same salt that is crucial to life on Earth. Earth’s oceans are mostly water with a pinch of salt and a few other chemicals mixed in. The delicate balance of chemicals in the water is what made the evolution of life as we know it possible. In a new paper, Hand and Carlson demonstrate that Europa’s ocean might have at least some of the same chemistry as Earth’s. Europa is Jupiter’s fourth-largest moon and is just a little smaller than Earth’s moon. Other than their similar sizes, the two couldn’t be more different—Europa is covered in a thick layer of ice that caps a moon-wide ocean, while our moon is a dead hunk of rock. Among Europa’s most striking features are the deep brown streaks that cut across its surface. Europa’s subsurface ocean is kept from freezing by Jupiter’s immense gravitational pull. That same force creates cracks and breaks in the ice, and, just as salt cakes the rocks along a seashore, the brown streaks on the surface are thought to be the crystallized deposits from ocean water that seeps through the cracks. Hand and Carlson can’t scoop up a beaker full of Europa’s ocean to study it, of course. And to make things more difficult, sodium chloride is hard to detect using spectroscopy, astronomers’ usual go-to method. So Hand and Carlson performed lab experiments at conditions similar to those on Europa’s surface to try to replicate the crystallized salt deposits. Based on their experiments, the scientists think that Europa’s brown streaks are, at least in part, deposits of sodium chloride. The salty seas of Earth arose from water cycling over many billions of years, exchanging chemicals with the seabed. If the research checks out, it suggests that the seafloor of Europa’s ocean is probably made of minerals similar to those in Earth’s crust. The scientists’ experimental results aren’t quite strong enough to be considered a “discovery.” Instead, what they’ve presented is a scientifically plausible argument that requires follow-up to confirm. But it’s still intriguing, because sodium chloride is so important to life’s chemistry on Earth. It’s not enough to say Europa has life, or even all the right conditions, but it’s one more degree of similarity between Europa’s ocean and ours. Europa is one of several ice-capped moons with global oceans. Along with Saturn’s moon Enceladus, the seas of Europa could be the best match to Earth’s—and the best possibility of life elsewhere in the solar system. Missions such as the proposed Europa Clipper probe could settle whether the ocean is salty enough for life’s tastes. 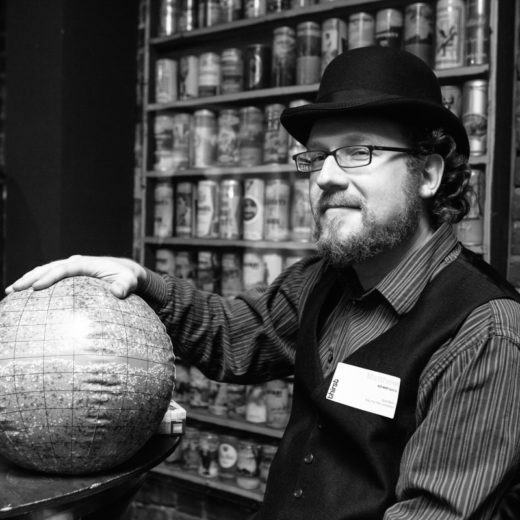 Matthew R. Francis is a physics writer, public speaker, educator, and frequent wearer of jaunty hats. Cite this Article: Matthew Francis “Europa’s Salty Sea,” Hakai Magazine, May 5, 2015, accessed April 25th, 2019, https://www.hakaimagazine.com/news/europas-salty-sea/.